Album artwork: Does it indeed affect our listening experience, and if so, how? Scratch the Surface is a recurring feature on Aquarium Drunkard that that takes a look at particularly interesting cover art choices. 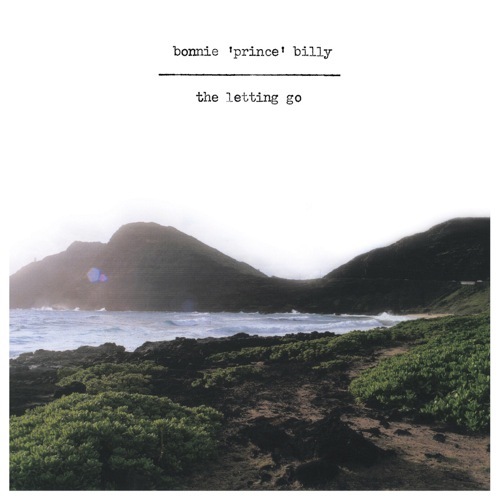 Bonnie “Prince” Billy’s The Letting Go is broadly considered, even in rare negative critique, as Will Oldham’s most unexampled result. The album, released in 2006, has a notably more comfortable aesthetic than much of his previous work. Through his career, Oldham has been oft accustomed to bleak or drab–or maybe just honest–interpretations of already emotionally fraught events. That is, he isn’t one to wrap you in comfort; he’d rather leave you naked to the feeling of the thing. But while it certainly sounds warmer, The Letting Go confronts many of the same elements, albeit from a different perspective. It hasn’t been subjected yet to tension, but it will be, and this time, it has a chance to prevail. And a steady look at the seascape washing across the album’s cover suggests this. Inside the cover, though, it’s easy to become drunk with enchantress Dawn McCarthy’s (Faun Fables) harmonizing. Silky is her siren’s call, delicately dancing in and out of Oldham’s familiar quaver. The softness it applies to already downy composition and ostensibly optimistic lyrics offers the artifice of comfort. But maybe the songs are like Oldham sings in “No Bad News,” and each track is “someone lovely, and she’s bringing bad news.” It’s not that the report is inevitably doomed. Rather it’s a harbinger of possibility, the handling of which determines the severity of its outcome–how we choose to react to life’s more ambiguous temperaments affects the success or failure of our own. Even at our most optimistic and with the most pleasant of finalities ahead, facing such decisions in the interim can be disquieting. So, instead of comfort, this record is actually a confrontation with unease, but confronting it with a certain sturdiness, or impenetrable confidence that understands it doesn’t have to be overtaken. Thus, the cover art becomes clearer. Superficially, it’s a landscape, beautiful and simple. And it could’ve been almost arbitrarily chosen–with little specific or thematic attachment to the record itself–simply because it evokes the same general texture as Oldham’s music. But look closely. like each entry in this series before it, i enjoyed this one. they are, in essence, an analyzation of a photograph or painting, but with the added dimension of the music contained in the album. While the picture is indeed a beautiful coastal landscape, it is the font that captivates me. Courier has to be the best font in existence. Fortunately, the combination of these two components occurs sublimely. I obtained this album yesterday; can’t wait to listen to it. one of my favorite records and album covers of the past few years. i wasn’t crazy about it at first listen, but boy does this one grow. could be will’s best record. props … this is a strong series, strong entry. thanks for taking the time.